Every July, when the desert is at it’s hottest, driest, most brutal time, temperatures don’t really ever drop out of the 90s in rocky washes around Phoenix. 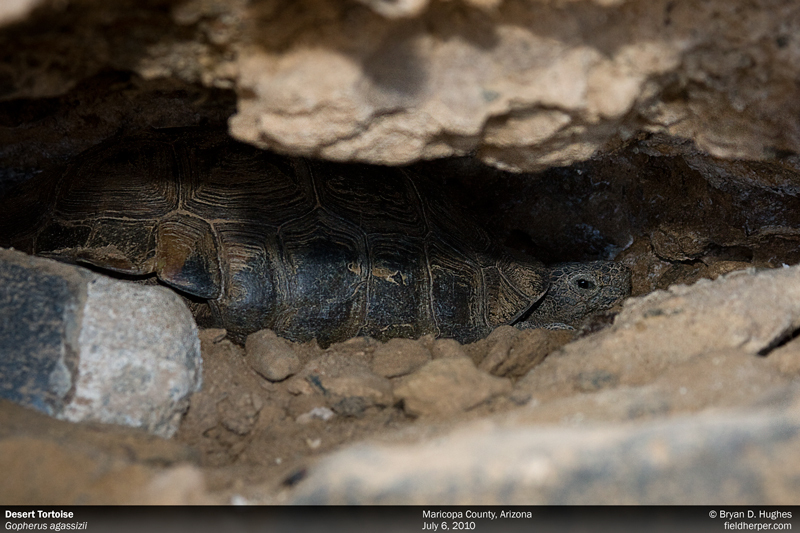 This is a great time to visit a couple of tortoises that use the same cut out in a wash to keep in the shade. There are probably cooler spots, but these are where they are, and I’ve seen them for the last few years like clockwork, any day in July. This one usually has a diamondback friend, though not this time around. He smells like a cow, which is how I found him the first time. 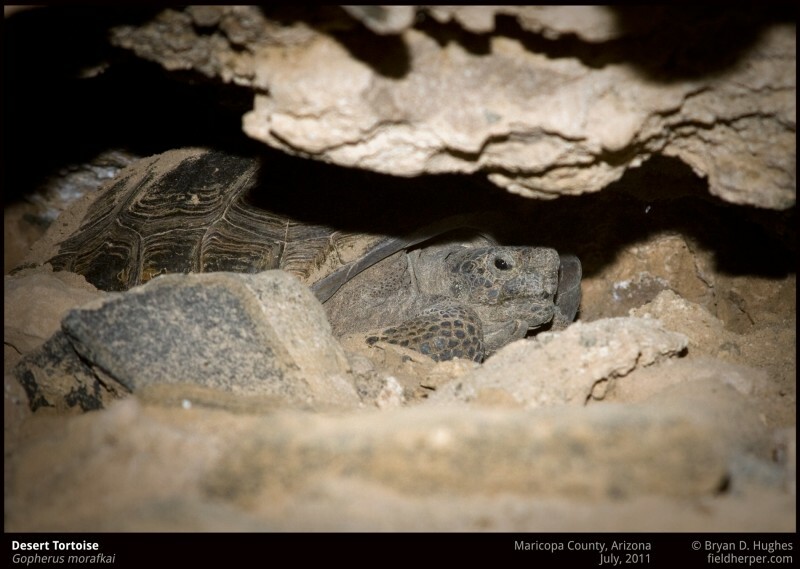 This entry was posted on Friday, January 18th, 2013 at 8:48 am	and is filed under Behavior, Field Herping, Photography, Tortoises. You can follow any responses to this entry through the RSS 2.0 feed. You can leave a response, or trackback from your own site.